See the Calendar Girls at San Fulgencio. This heart-warming comedy featuring those brave WI ladies is being performed live on the Costa Blanca. 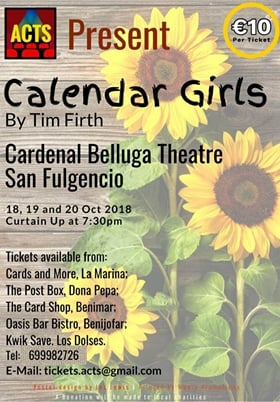 Get your tickets now to see ACTS presenting Calendar Girls in San Fulgencio.